Weekly News Roundup is PropGuide's selection of the week's top news stories from the real estate sector. Authorities in Gautam Budh Nagar have cleared the exit policy for real estate developers, struggling to complete projects in Noida and Greater Noida. The Project Settlement Policy also has a series of measures to protect the interests of homebuyers. Housing prices in the country increased in the first quarter of the current financial year in all the cities, touching their highest point in six years on a consecutive basis. This was shown in the Reserve Bank of India's (RBI) Housed Price Index data. 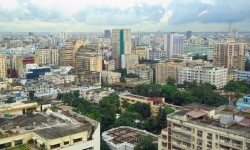 The central bank said housing prices jumped 7.3 per cent during April-June this year, with Chennai witnessing the highest increase of 23.9 while Jaipur witnessed the highest contraction at -4.4 per cent. In a big boost to the real estate sector, the defence ministry has finally decided to amend the 113-year-old Act that restricts the construction of buildings within 500 metres of military establishments. Under the revised law, the restriction has been trimmed down to only 100 metres for multi-storey structures and just 50 metres for single-storey houses. The Works of Defence Act, 1903, was coming in the way of real estate activity in metro centres such as Kolkata, where premium plots at upmarket locations were lying unused close to military camps that are not strictly strategic in nature. The National Highways Authority of India (NHAI) has moved the National Green Tribunal seeking permission to build a bridge across the Yamuna and its approach roads for the Delhi-Meerut Expressway. On this, the NGT has sought a response from Ministries of Environment and Forests and Urban Development on the plea. In an effort to monetise its real estate, the railway ministry is working on a scheme to lease out its abandoned buildings and spaces near railway stations to etailers. Under the plan, e-commerce companies such as Flipkart, Amazon and Snapdeal may soon get to set up warehouses and pickup points at railway stations.